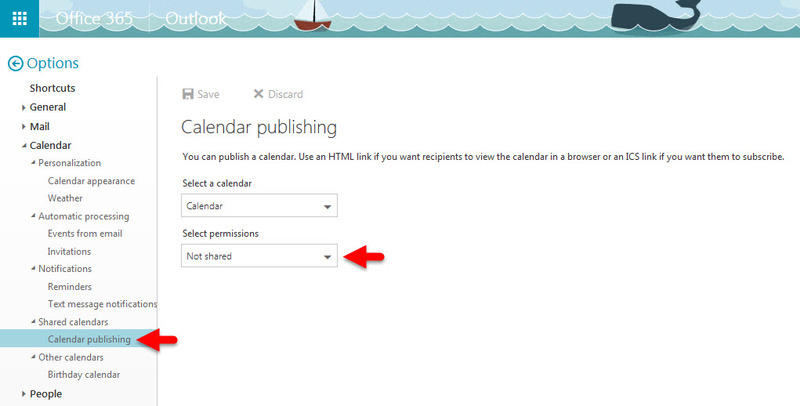 You can share your calendar publicly via a URL that you can copy and paste to other locations. 1. Click on Setting gear located at top right of your browser and select Calendar under Your app settings. Note: Select the link after "HTML" to view the calendar or share it with someone through the link.